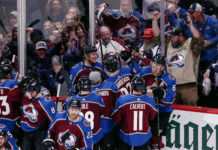 The Colorado Avalanche went into Los Angeles and blew out the last-place Kings by a score of 7-3. Outside of a few penalty issues in the second period, they were in control of the game from start to finish, which is what you like to see against a bad team. Vladislav Kamenev continues to impress, scoring the opening goal of the game, winning some more important face-offs, and picking up an assist late in the game off a nice forecheck. His development now gives the Avs four solid options down the middle, and the ability to roll the lines so the top line isn’t being used too much. Mikko Rantanen is ridiculous. He picked up two more assists, and the second one was a thing of beauty that only a few players in the NHL can make. From behind the Kings’ net, Rantanen sauced the puck between the goaltender and Drew Doughty to hit Colin Wilson perfectly in front for an easy goal. At this point, we shouldn’t be amazed at what he’s doing. Tyson Barrie just keeps putting up big-time numbers, and his next contract could a massive one. With 19 points in 21 games, he’s on pace for over 70 points this year, and is due for a contract after next season. His name has been mentioned in trade rumors in the past, but I don’t know if there’s any way to replace those numbers. Speaking of contracts, Alexander Kerfoot will be one to watch this summer. With 17 points in 21 games, he’s now on pace for 66 points. Even if he puts up between 50-60 points, he may be in for a big payday, somewhere around $5M a year. He quietly goes about his business, and has developed into a nice face-off guy, so it’s certainly something to keep an eye on. 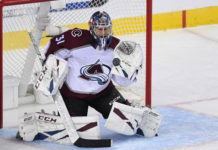 Lost in the blowout was the fact that Semyon Varlamov looked a little shaky in net. The first goal by the Kings was a dump in that he just misplayed, and he looked a little out of it on the late goals by the Kings. 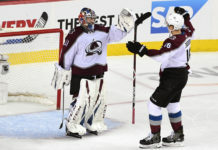 With a back to back coming up, Phillip Grubauer will no doubt get one of them, but Varly has slowed down just a little bit after his red-hot start. 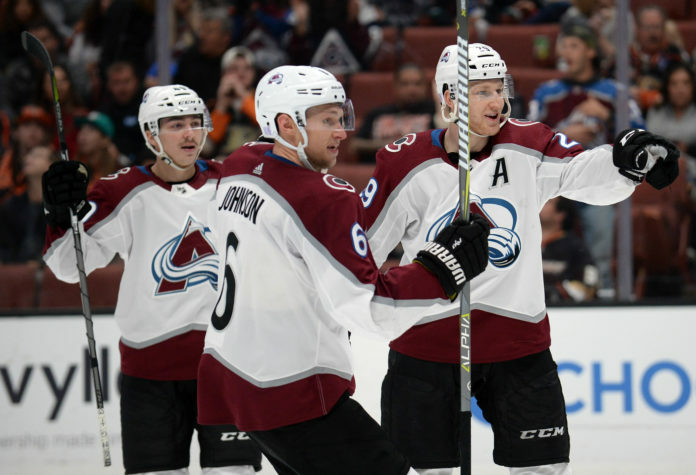 The Avalanche head to Arizona on Friday evening to take on the Coyotes. The game starts at 6 PM MST.